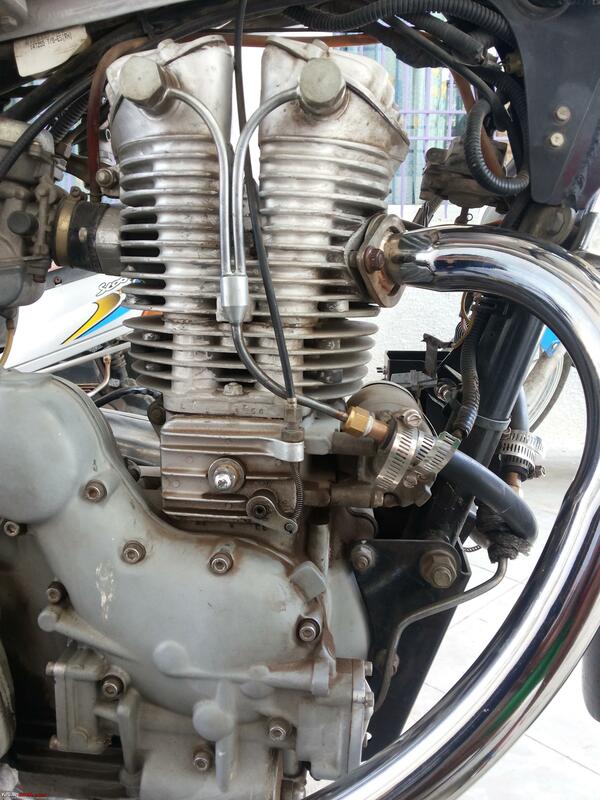 Enfield: Upgrade from BS26 to BS29 carburetor? I own an Enfield Thunderbird AVL 2007 model. I have oil cooled my bike and am now further looking to replace the existing BS26 carburetor with a BS29 one. I know that mileage will drop down by 8 to 10 units. Can anyone guide if what I am thinking is practically possible? What are the pros and cons? And where can I get a BS29 one? re: Enfield: Upgrade from BS26 to BS29 carburetor? Have a friend of mine who recently got this done for his bullet classic 350. I believe he went for a 32mm carb. Surprisingly the mileage got better along with an insane increase in the pickup. He has been using it for the past 7000-8000Kms. Make sure though that the air filter is equally capable. In some case, a free flow filter like K&N is recommended. Would be able to guide you to the right mechanic here in Bangalore. But I am sure, any reputed bullet mechanic can help. Hi, do you mean you fit an oil radiator? Or, is it a (water) coolant cooled engine? If so, could you please share on how you have converted an air cooled engine to a water cooled one. I haven't water cooled it. So there's no coolant and water system stuff circulating around the engine. I have just added a 7 pass parallel flow radiator with the AVL oil pipe with 2 fans behind it. Hey, Thanks. Never thought of 32 mm carb. Can think for it definitely. However, the mileage being increased is really surprising. I have no idea from where do I get these carburetors. I am really looking forward to upgrade my Thunderbird's performance. If you could just give me some contact details or something, it would really be helpful. And where can a get a BS29 one? I have Oil cooled it, and not Water cooled. So theres no system in which water and coolant is circulating around the engine. I have installed a 7 pass parallel flow radiator to the AVL oil pipe. So basically the oil passes through the radiator on its way from the sump to the engine. I am sure not much will gained out of it. What will a larger carb do? Meter in more fuel. But if the engine is not capable of burning this extra fuel efficiently and generating power, you will only end up with dark spark plugs. I am not discouraging you though. Also can you please post up the pictures of your engine? I think the AVL is already running lean. 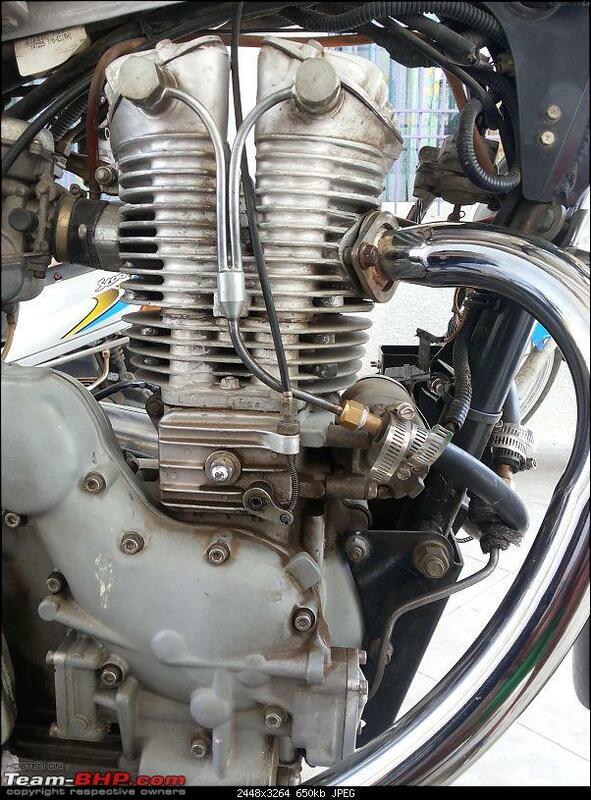 A bigger carb but well tuned with proper jets should increase the performance. 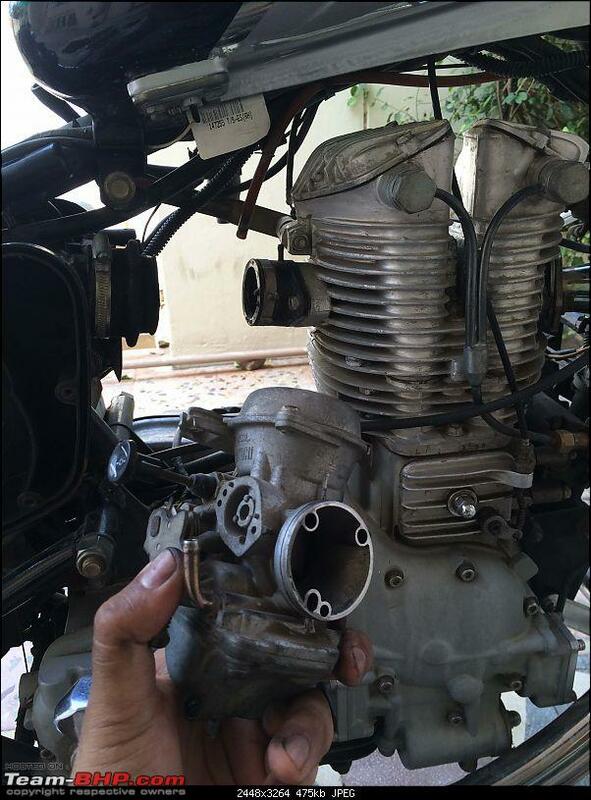 Kindly go through the above thread - you will get some ideas about up-sizing the carb. Hope that helps. Can you please share some more detail info on this, may be some pictures and can you share from where did you source 7 pass parallel flow radiator. As per my knowledge, a bigger carburetor will not only inject more fuel but it would also let engine breath more air simultaneously for burning more fuel right? So hopefully it shall work! 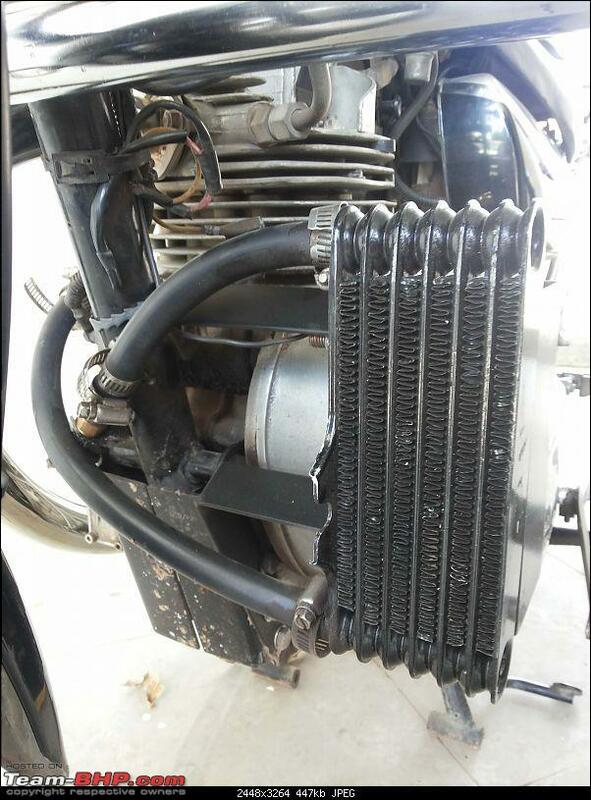 Pranav Vikas Private Limited is the company from where I bought the oil cooler. Last edited by Gannu_1 : 18th June 2015 at 15:13. Reason: Back to back posts merged. Please edit your post within the 30 minute edit window to add/edit your posts. now further looking to replace the existing BS26 carburetor with a BS29 one. I know that mileage will drop down by 8 to 10 units. Can anyone guide if what I am thinking is practically possible? What are the pros and cons? And where can I get a BS29 one? This is quite possible, I had done it on my 2006 AVL TBird long time back (around 2007) and it ran happily with BS29. 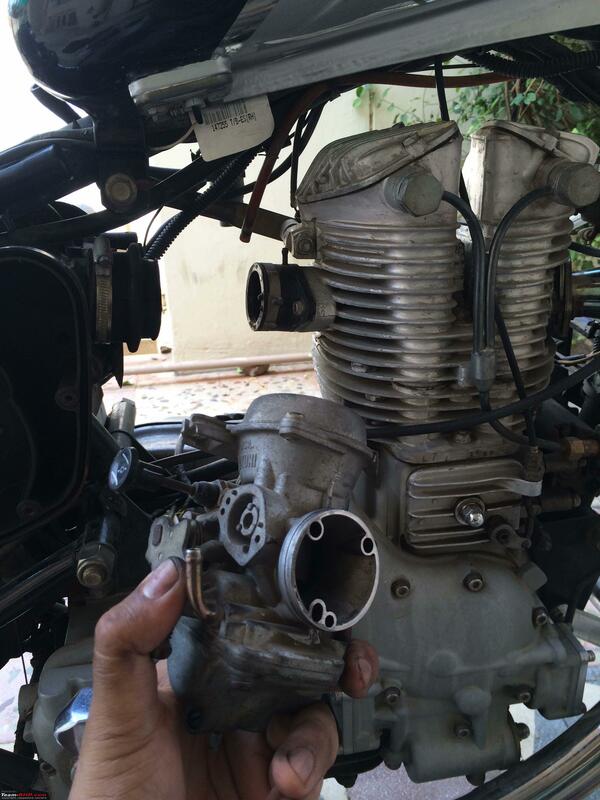 As others here have suggested you could also consider getting a BS32/UCD33, best place to source a new carb would be Bajaj authorized centers. BS29 can be used from Pulsar 200 and BS32/UCD33 from Pulsar 220NS can be used for conversion. 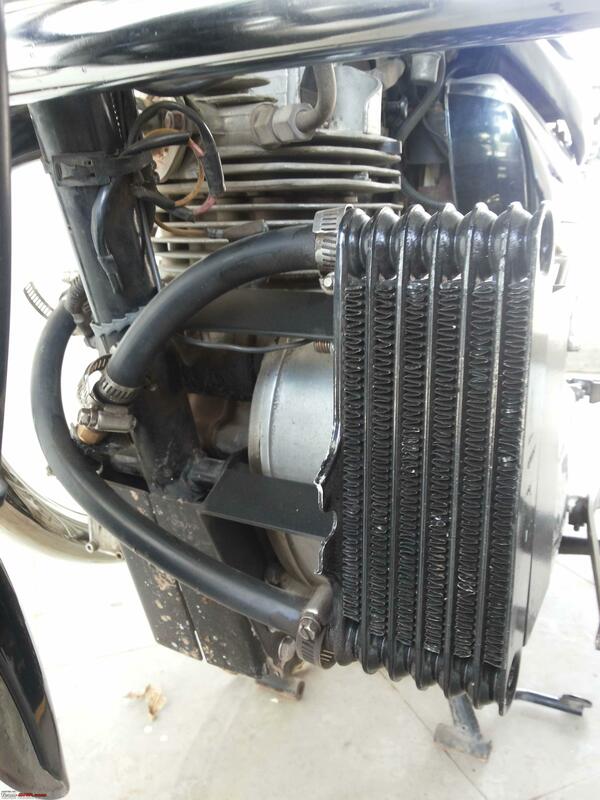 The default jetting on the Bajaj carbs may need to be altered as per your bullet setup, the pilot and main jets may need upjetting and the carb would require tuning post fitment. All the best with the tinkering! Here is the picture. I Did it 2 years back as a college project! So far, I have gained a lot of knowledge regarding the up-gradation from this forum and there after youtube as well! 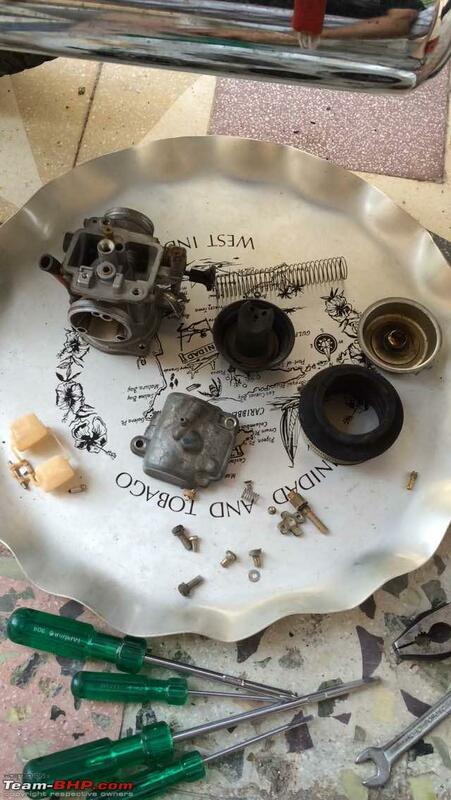 Today i have successfully taken the carburetor of my bike and totally dismantled it for cleaning purpose. Probably I am going for the BS32 carb from Pulsar 220. BUT there are certain queries as below regarding the same. Need help! - The BS26 carb (stock AVL carb) has a 26 mm inner diameter and the intake manifold of my bike also has a 26 mm inner diameter. If i install the 32 mm carb, then the intake manifold will still have a 26 mm diameter. So will it make any difference in performance? Will I be able to mount it successfully? - Second thing is, as may of you have said, BS32 will require up jetting. What exactly does it mean? Do i need to install jets with bigger diameter or do i need to drill hole in the stock ones? If i need to install bigger jets then where will i get those from? Looking forward to finish this project as early as possible!